The description in section 5.3 Navigation Test (pg. 50-53) is referred. No change is made on the rules. The description in section 5.6 Speech Recognition & Audio Detection Test (pg. 59-61) is referred. The description in section 6.3 Restaurant (pg. 66-70) is referred. In section 6.3.3, 6. Delivering phase (pg. 67), the objects for the robot to retrieve will be located within the reach of the working envelope of the robot arm (see below). The description in chapter 7 Finals (pg. 79-80) is referred. 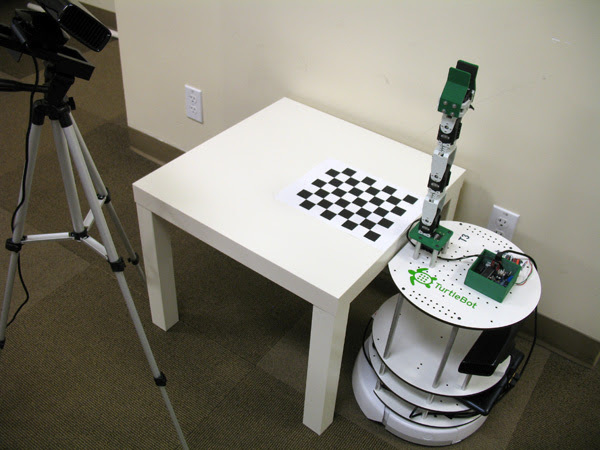 Refer to more information at the TurtleBot Arm wiki page [http://wiki.ros.org/turtlebot_kinect_arm_calibration/Tutorials/CalibratingKinectToTurtleBotArm], the object placements will be located within the reach of the working envelope of the robot arm (refer to the illustration below).